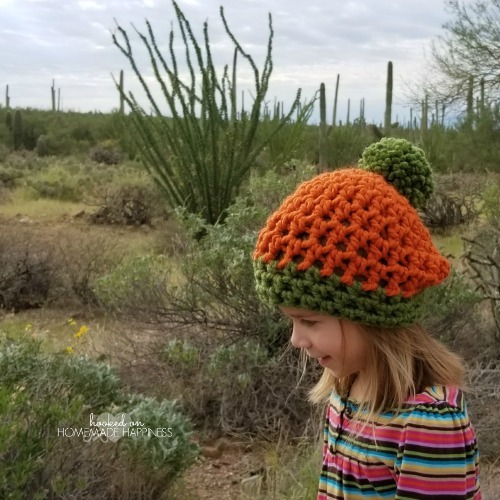 This Pumpkin (inspired) Slouchy Beanie if the perfect fall accessory for the little one in your life! 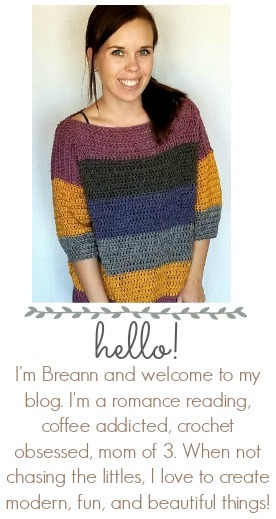 It’s a quick and easy beanie, using the colors of the season! This beanie can be made using any color combos. 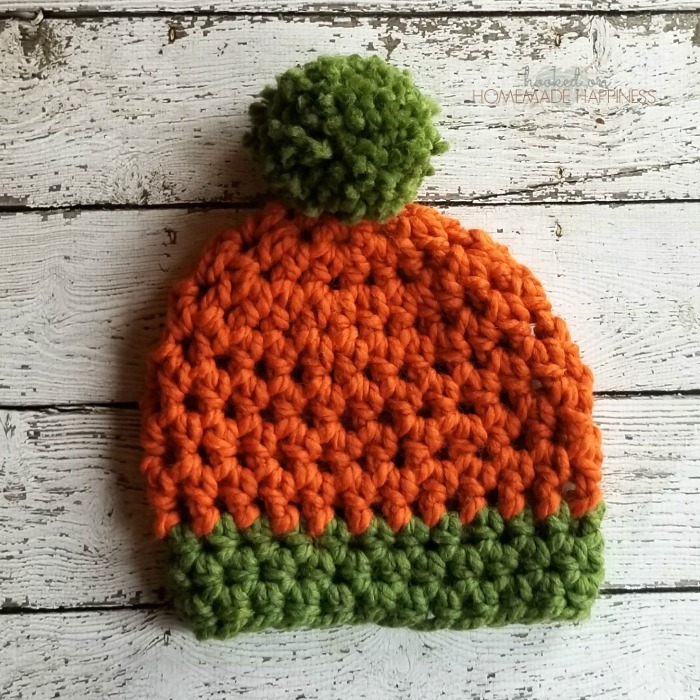 We’re feeling the pumpkin spice love around here, so I wanted to make a beanie to celebrate PUMPKIN SEASON! I like to make rounds without a joining stitch when using half double crochet because the join goes diagonal with hdc. Sc in the next 2 stitches, slip stitch in the next 2 stitches. Make a pom pom with Grass. Attach to top of beanie, weave in the ends. Before your pattern, you give abbreviations, but in the instruction there is an sc – and no explanation?? I love this hat! 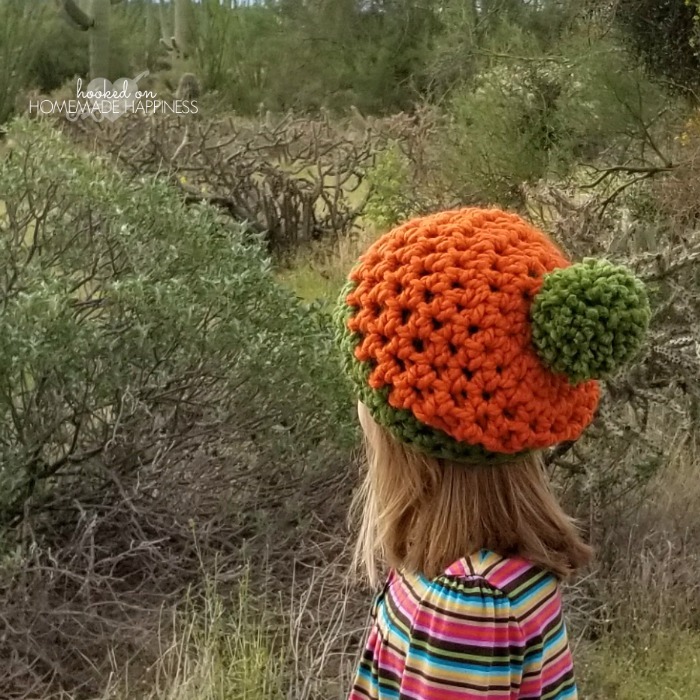 I want to make it in an adult size- do you have a pattern for a bigger size? Thanks! I’m hoping to do this pattern in worsted weight yarn, any ideas on how I could change the pattern to that?